International Women’s Day (IWD) has been celebrated for well over a century, with the first 8 March IWD gathering supported by over a million people in Austria, Denmark, Germany and Switzerland. Prior to this Suffragists and Suffragettes in the UK, the Socialist Party of America, and further groups campaigned for women’s equality. Today, IWD belongs to all groups collectively everywhere. To mark this year’s IWD we teamed up with the MRC Centre for Neuropsychiatric Genetics and Genomics (MRC CNGG) and the Neuroscience and Mental Health Research Institute (NMHRI) to record a special mini-episode of our Piece of Mind podcast. Our communications officer, Catrin Hopkins, who hosted the episode, was joined by PhD student Jasmine Donaldson, who is doing research into Huntington Disease at the MRC Centre in Cardiff; PhD student Rachael Pass, who is investigating Copy Number Variants and is based in the NMHRI and Dr Adele Pryce-Roberts, who is an Alzheimer’s Research UK Clinical Research Fellow at Cardiff University. 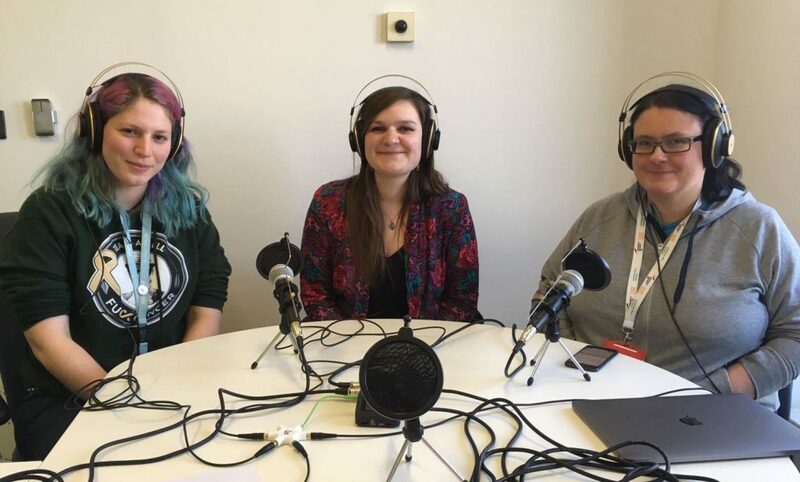 Rachel, Jasmine and Adele (pictured above) were invited to discuss their experiences of studying and working in neuroscience and they also shared some wisdom and top tips for people considering joining the field. You can find the episode on Soundcloud and you can subscribe on iTunes. We spoke with women from several other fields of neuroscience within the university and asked them to share some insight into their careers. Sophie is a postdoctoral researcher at MRC CNGG, investigating the genetic and environmental causes of schizophrenia. 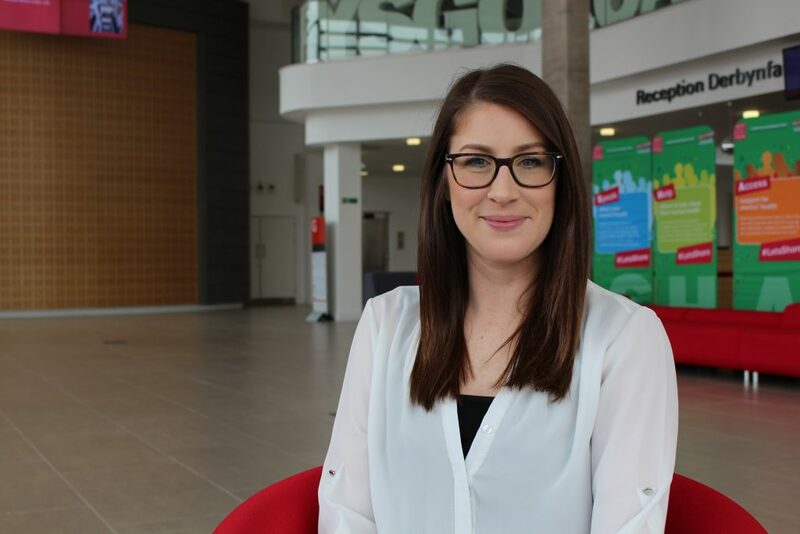 “I have always been interested in mental health and did an undergraduate degree in psychology. I then spent two years with Prof Anita Thapar as a research assistant interviewing families for a study on depression. “I decided to a PhD after working as part of Dr James Walters’ team, interviewing people with schizophrenia. Something clicked! For my PhD I studied the genetic and clinical causes for why some people respond to the antipsychotic clozapine, which is used to treat treatment-resistant schizophrenia, and why some people experience side effects. I’m now investigating the genetic and environmental causes of schizophrenia. It’s incredibly complex, and we’re hoping to pinpoint the impact of genetic risk to schizophrenia so that we can improve treatments in the future. 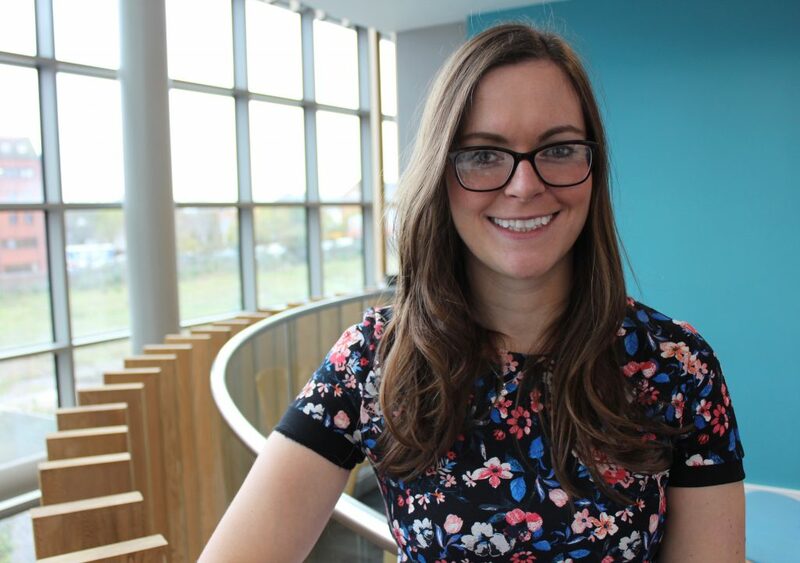 Emma is a Health and Care Research Wales Fellowship working to try and better understand Huntington’s disease and other brain disorders at the NMHRI. “I was really interested in Biology and Chemistry at school. Excellent and enthusiastic teachers inspired and encouraged me to pursue my interests to university level and I applied to study Biochemistry at Cardiff University. Since then, I completed a PhD in Huntington’s disease research and I was then successful in obtaining research funding and a Health and Care Research Wales Fellowship to complete clinical research. Jasmine is a PhD student at MRC CNGG researching the genetic factors that are responsible for the onset of Huntington’s disease. “I’d always been interested in neuroscience as I’d been brought up with my mum’s fascination with the human body and brain. I always remember her saying if she had her time again she’d go into neuroscience. 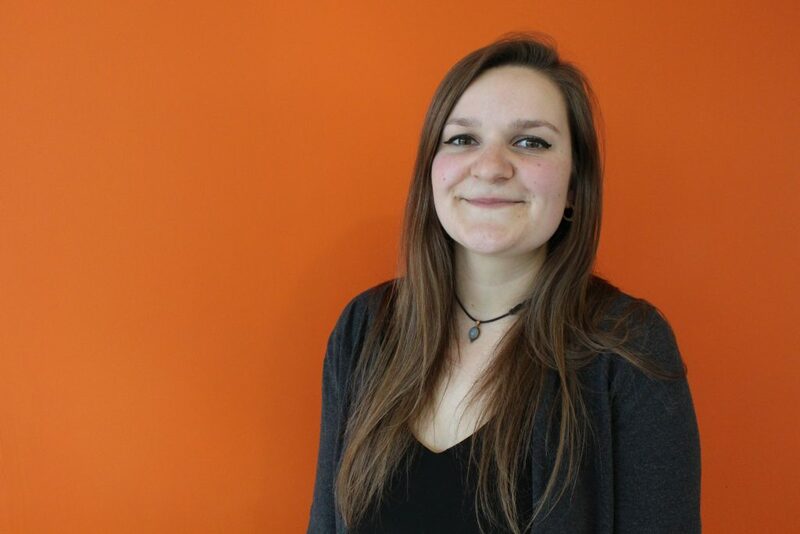 “I knew I wanted to do medicine and it spurred me towards neuroscience as an undergraduate at the University of Leeds, where there was a huge focus on neurodegenerative disorders. Originally I was interested in looking at Alzheimer’s disease but began to reconsider after attending a conference in The Hague, hearing from people who were pre-symptomatic with HD and their family members and carers. It was eye-opening and a push for me to do something about it. You can hear more of Jasmine’s story on the Women in Science episode available on Soundcloud. As part of the #PressforProgress campaign, you can download selfie cards to promote action via social media. Join us on Twitter where we’ll be sharing our selfies and more stories throughout the day!